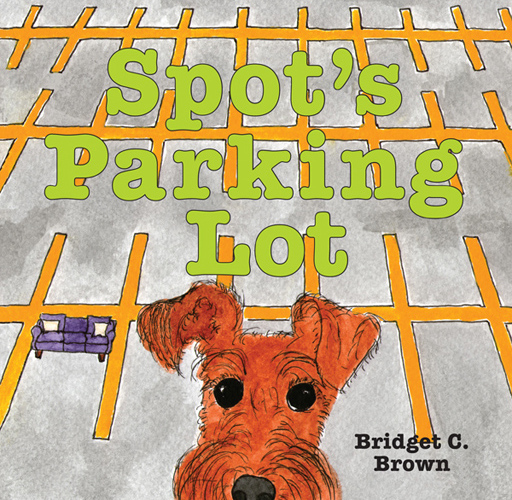 Wait a second: There’s a kid’s book about parking lots? Yes! And it may be the only kid’s book blurbed by parking guru and Friend of Streetsblog Donald Shoup. We found out about it, thanks to a tip from our friends at the “War on Cars” podcast. The book apparently teaches kids how many better things grownups could be doing with wasteful, inefficient parking lots. So go out there and buy “Spot’s Parking Lot” by Bridget C. Brown. After our big story about Citi Bike’s e-xpensive e-bike expansion, Doug Gordon pointed out on Twitter that a $2-per-e-ride fee isn’t exactly progressive — and it definitely puts the private in public-private partnership. The Post also covered the story, atypically focusing on the inequity issue. Good-natured gumshoe Vin Barone at amNY didn’t play up the added fee, but Gothamist really did. And the Times skipped it again, still considering Citi Bike to be an effete hobby rather than a public transit system that serves tens of thousands of people daily. Meanwhile, the Wall Street Journal wrote about the ferry system, which, unlike Citi Bike, is highly subsidized by the city. Crain’s pointed out that the neighborhoods above 60th Street in Manhattan are going to want residential parking permits when congestion pricing begins or else those neighborhoods will likely get inundated with drivers seeking to park before entering the tolled zone. Revolving door: We wish Daily News transportation reporter Dan Rivoli the best at his new NY1 gig. NYC Council Member Ben Kallos on Congestion Pricing from STREETFILMS on Vimeo. was that money going to come from? A little economics. The fantasy is that a higher minimum wage would come out of profits, and lead to lower stock prices and executive pay. But that’s only true of firms making excess profits. For firms making no profit, or “normal profit,” a reduction means it no longer makes sense to invest in it, and stay in, a business. were barely making money. Landlords overshot, and the $15 minimum wage will further push businesses over the edge and cause them to shut down. But eventually, some rent will be better than no rent, and the cost of higher minimum wage will be offset by a reversal of some of the bubble in commercial rents. With a lower cost of space, businesses will be able to pay the $15 and not lose money. But Citibike doesn’t occupy expensive real estate, and isn’t making excess profits. So what does that leave? Those who were making minimum wage are probably better off with higher Citibike fees and transit fares plus the minimum wage hike, which will only absorb part of it. Better off city riders will become worse off due to the minimum wage, because the cost of living will rise. The cost of lunch in Midtown also, I’ve observed. Basically, people vote for other people’s lower wages every time they go shopping. If that trade gap were to really close, and the distribution of income were made more equal, the affluent (most of those reading this) would be somewhat worse off, along with the rich. I’m still in favor, in part because the economy we have is not sustainable, and heading for disaster. I think this line of argument misses the point that Citibike workers have been unionized and paid living wages for close to 5 years now. Edit: minimum wage resets aren’t why Lyft is jacking up prices on ebikes. The bigger point I made on Twitter is that this is part of the problem with a private system. I don’t fault Citi Bike/Lyft for raising prices if keeping e-bike rides free (with a regular membership) doesn’t pencil out. That’s business, and apparently the cost of charging all those e-bikes is substantial. Hence the fee. We should instead direct our focus on City Hall, which could and should provide public subsidies to avoid bike share from turning into a tiered system where those who pay more get better service than those who can’t. Well, if the lowest paid person was getting $15 twelve months ago, and there was no increase associated with the higher minimum wage to stay competitive, I stand corrected. Link? Unfortunately, public funds are vastly oversubscribed by powerful interests with a massive guarantees, and other needs. As a result, I don’t think we could have had the bicycle expansion (Citibike and otherwise) if it had to compete with pensions, Medicaid, the UFT, and belatedly NYCHA for funds. That fact bicycle infrastructure is cheap and Citibike only cost a few parking spaces is an advantage to be trumpeted. I’d direct the focus to health insurers, and try to get them to put up money. Or perhaps have some bicycle subsidies for the uninsured and those on Medicaid cycled through the Department of Health. Those powerful interests get their funding hidden, too. Average pay, not minimum pay, was $15. That was 4 1/2 years ago, so it could be higher now. But one of the things you hope would happen is if the minimum goes up to $15, those who were getting more than the minimum would also see wage increases as a matter of competition. So their labor costs might have gone up more than it otherwise would have, which is fine. I’m echoing my comment from the other article because I think the economics of Lyft’s intended IPO and the bikeshare exclusivity it enjoys in Manhattan are the important parts of Citibike jacking up the price. If you want to rent an ebike from another provider for a point to point ride, too bad – you can’t do it. But if you think a Lyft ride in an SUV is too expensive, you can price it out on Uber instead, with the result that they compete against each other to keep car-based trip prices artificially low. I don’t think labor costs are driving this price hike; I think it’s the Manhattan bikeshare monopoly that Lyft wants to monetize for its investors. So, you buying the IPO? Not me. Perhaps I’ve a Debbie Downer, but I’m interested in making sure Citibike is profitable enough to survive Chapter 11. If you don’t want to pay $2 per ride for Citibike, get your own ebike. If delivery workers can afford it, so can you. (Just disable the throttle, to keep it legal). My Arrow e-bike cost me about $500/yr (including purchase). I suppose that works out to cheaper than the e-Citibike, and I rode it for longer distances. But really… I don’t see what so horrible about e-bike rental at $2/ride. It’s still cheaper and more convenient than the subway.